The name says it all ...CARES-A-WAY. 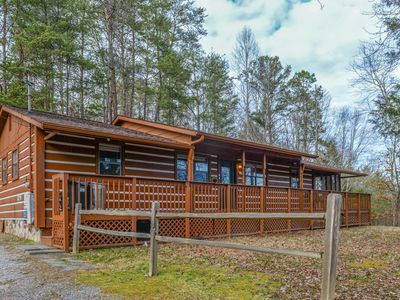 This inviting 3 bedroom, 3 bath cabin sleeps 10 and is great for large families or small gatherings of family and friends. 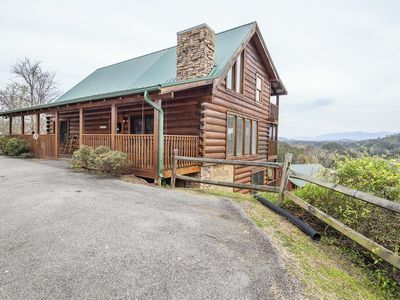 It is located 10 to 15 min from Pigeon Forge, and 20 min from Gatlinburg where this is a multitude of dining, shopping and entertainment options. 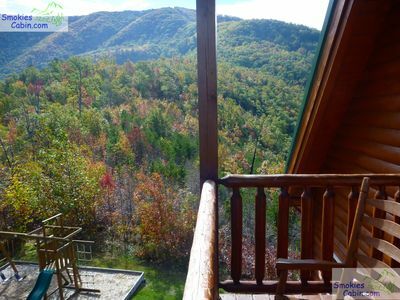 This hilltop mountain oasis offer long range mountain views which can be enjoyed from both inside and outside. The view, garden area and mature trees lend an atmosphere inviting rest, rejuvenation & tranquility. 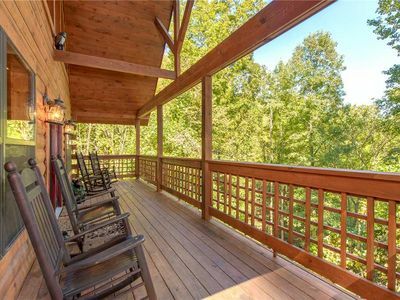 Relax on the wrap around porch where you will find rocking chairs and an eating area so you can take in all the fresh mountain air and beautiful mountain sunsets. 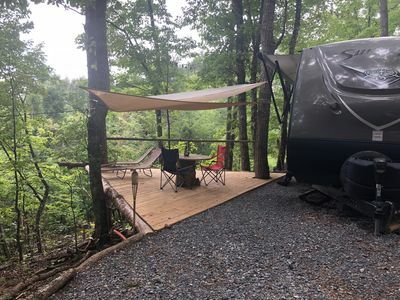 Off the side of the cabin is a quaint gazebo with a bar-b-que and another eating area offering yet another opportunity to take in the beauty of the smokies. 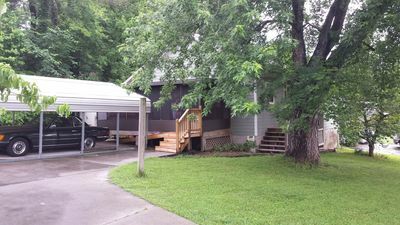 There are 2 easy access parking areas right on the property which offers plenty of room for several cars. Please note the garage is not accessible to guests. 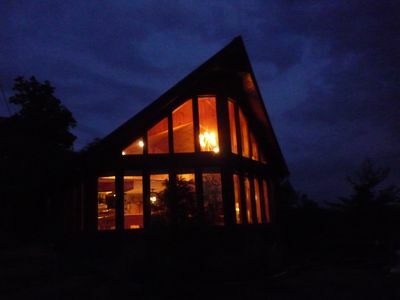 Inside, the main floor has an open and inviting living/dining/kitchen area surrounded by windows so that you still can take in the outdoors from inside the cabin. 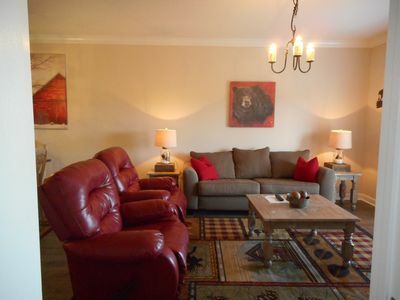 The living room offers a gas fireplace and sleeper sofa with plenty of seating for your family and friends. 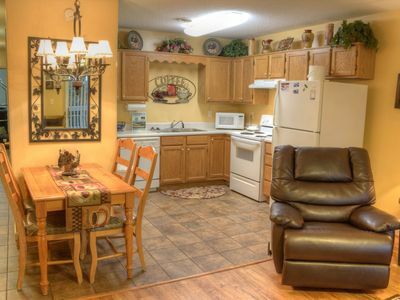 The inside dining area seats 6 with 2 additional spots at the adjacent kitchen island. 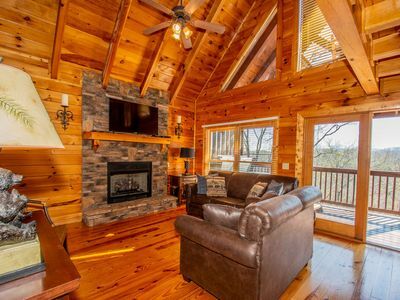 On the main level, there is a large master with queen size bed, walk in closet and access to the main floor bathroom that offers a shower, dual sinks, and a romantic jacuzzi. 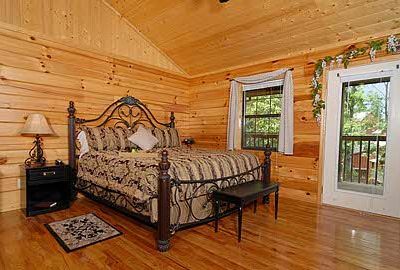 Upstairs, there is a 2nd master bedroom with a queen size bed, walk in closet and an ensuite bathroom with a bathtub/shower. 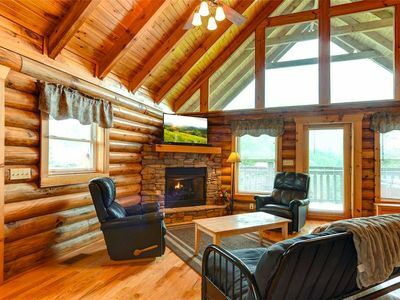 Off this bedroom, you'll find a large loft which serves as another sleeping area ( another sleeper sofa)/ sitting area. From here you'll be able to enjoy yet another perspective of the expansive views and trees from the large chalet style windows. The basement offers another bedroom with a queen size bed and ensuite bathroom with a small shower. Laundry facilities are located in a closet. 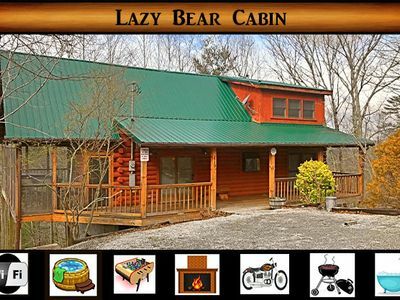 The cabin offers 2 TV's, Wi-Fi, microwave, large refrigerator and stove/oven and plenty of kitchenware. 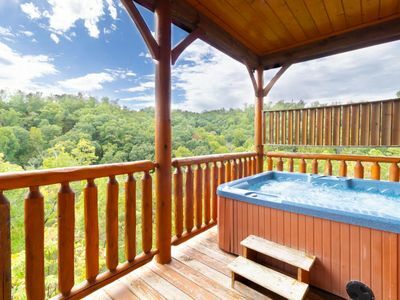 Come and enjoy the sweet side of the Smokies when you stay at Cares-away! 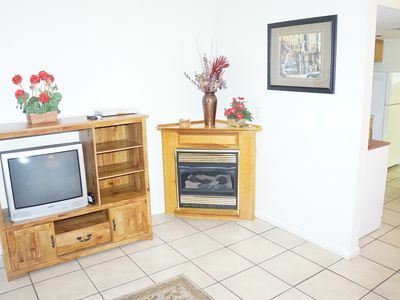 Guests have full access to the property with the exception of the garage. 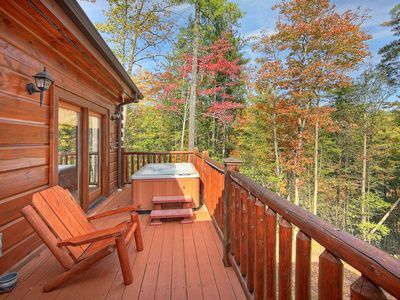 You'll be able to enjoy the cabin all to yourselves as owners are not on the premises. 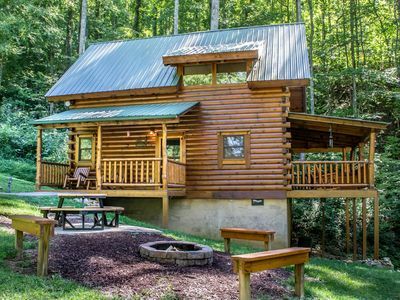 The cabin is located in beautiful Dogwood Farms, a beautiful mountain community with easy entry and exit access with all paved roads. 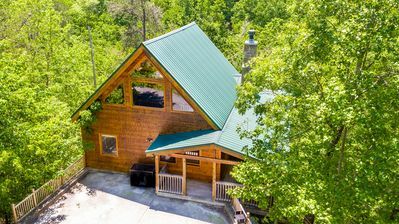 One additional note, parking for the cabin is located off the main road in Dogwood Farms, but there is lots of privacy once on the property. 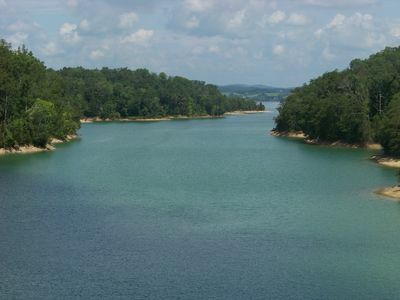 Private transportation is a must to get around to enjoy and access all of the area attractions. 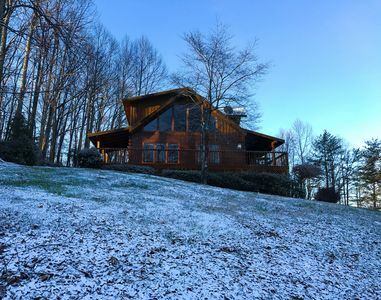 ERN864 - THE CEDARS - GREAT LOCATION! CLOSE TO ALL THE ACTION!